Dishcrawl is a nationwide "restaurant crawl" concept that recently made it&apos;s way to Raleigh in Feb. Adam Heidrick is the Raleigh Dishcrawl ambassador and it&apos;s his job to work with restaurants to organize these secretive dining events. Guests purchase tickets online for $45 and ticket holders are notified of the meeting location via email about 48 hours before the event. 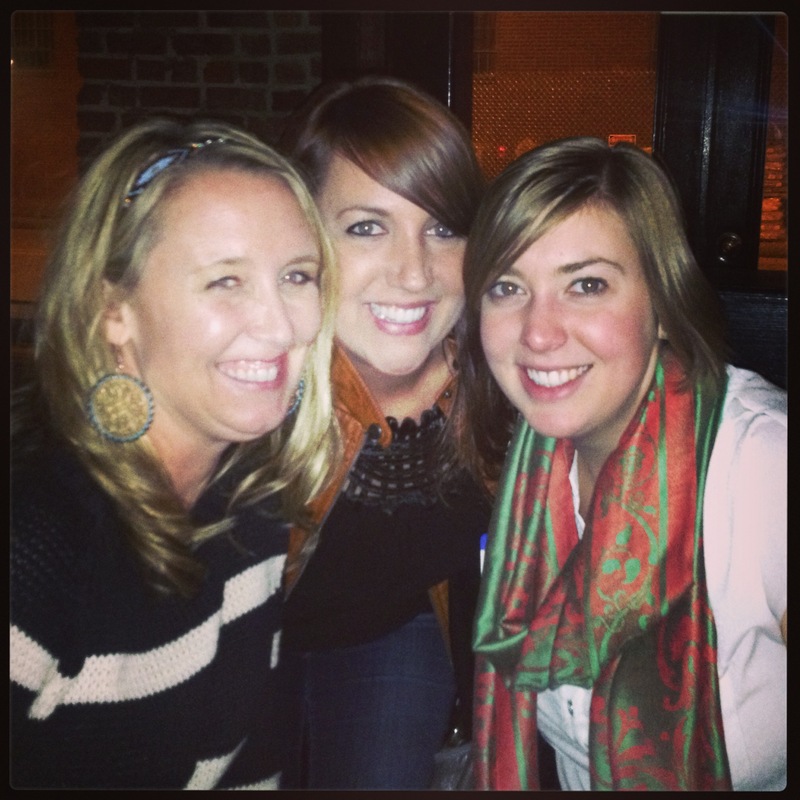 I participated in the downtown Raleigh&apos;s Warehouse District Dishcrawl at the end of Mar. The first stop on our tour was Humble Pie, a tapas restaurant and bar. 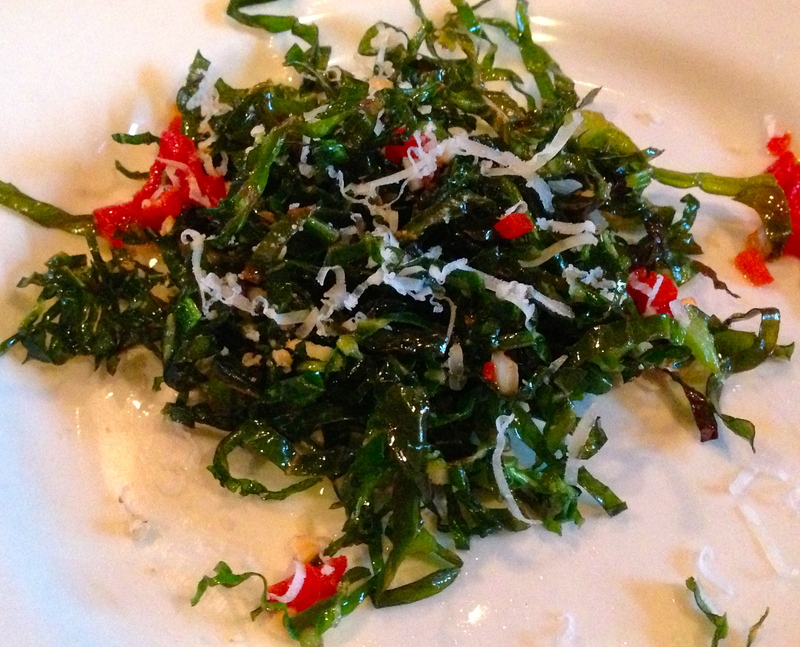 I enjoyed my sample of crispy collards, which are flash fried collards topped with peppers and almonds. I almost stole my friend Aimee&apos;s plate, who was also on the Dishcrawl tour. I definitely would have liked another helping of the crispy collards but I knew it would be important to pace myself for the evening. The next sample at Humble Pie was a braised short rib tostada. The tostada was flavorful and included spinach, onion, peppers and chimichurri. Once again, I could have used a massive plate of the braised short rib tostadas; however, we still had three more restaurants to visit on our gastronomic adventure. We left Humble Pie and walked a few blocks to Five Star, one of my favorite, sophisticated Chinese restaurants. 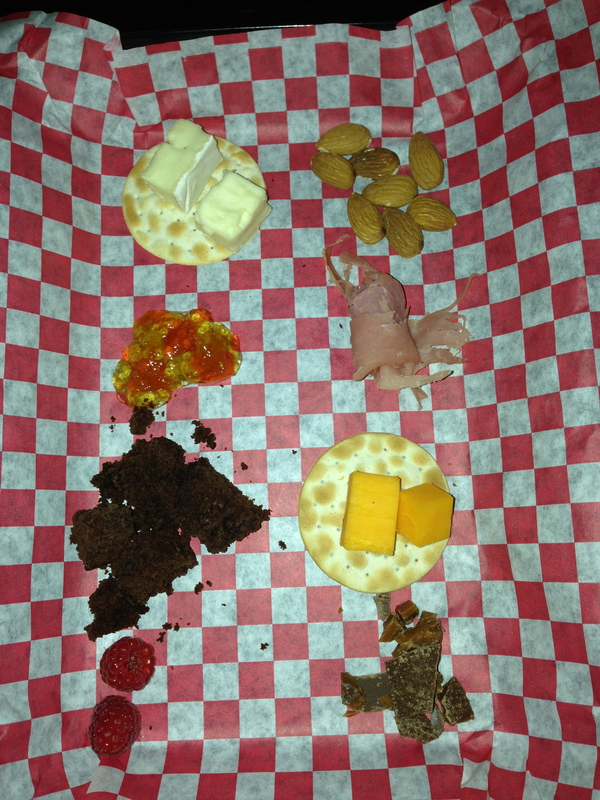 A generous sampling of some of the most popular Five Star entrees was placed in front of each guest. The crispy green beans were delicious, as always. 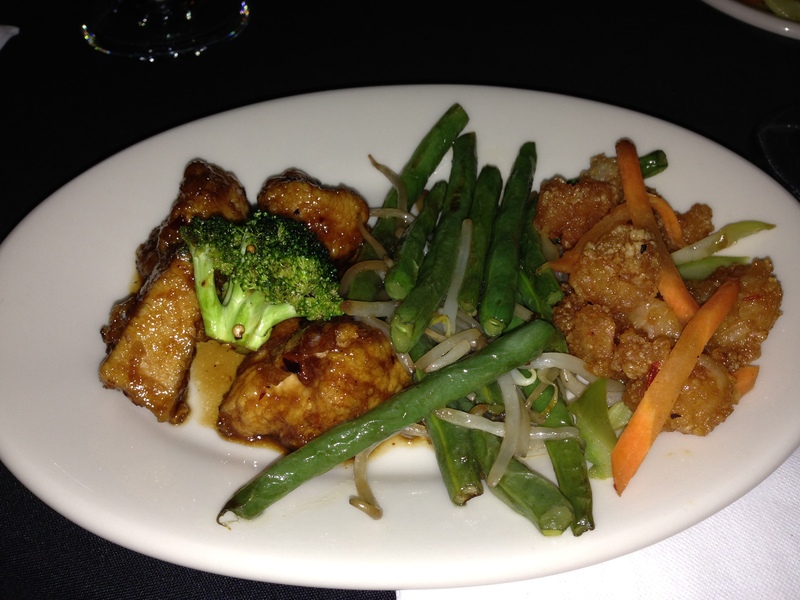 I also enjoyed the Five Star General&apos;s Chicken, which was juicy and had a nice spicy flavor. My favorites was the heat seeker shrimp, which is lightly fried and served with a spicy sauce. I enjoyed Five Star and had an excellent time hanging out with Adam. I&apos;m so thankful for his dedication to Dishcrawl. Adam hopes more visitors continue to come out to this unique dining experience for a taste of Raleigh&apos;s greatest restaurants. 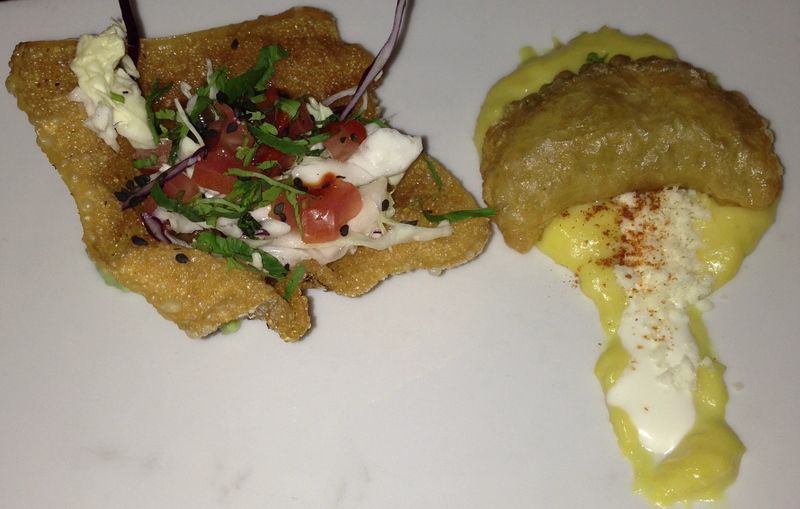 Our third stop was Jibarra, a contemporary Mexican restaurant that puts a modern spin on traditional dishes. 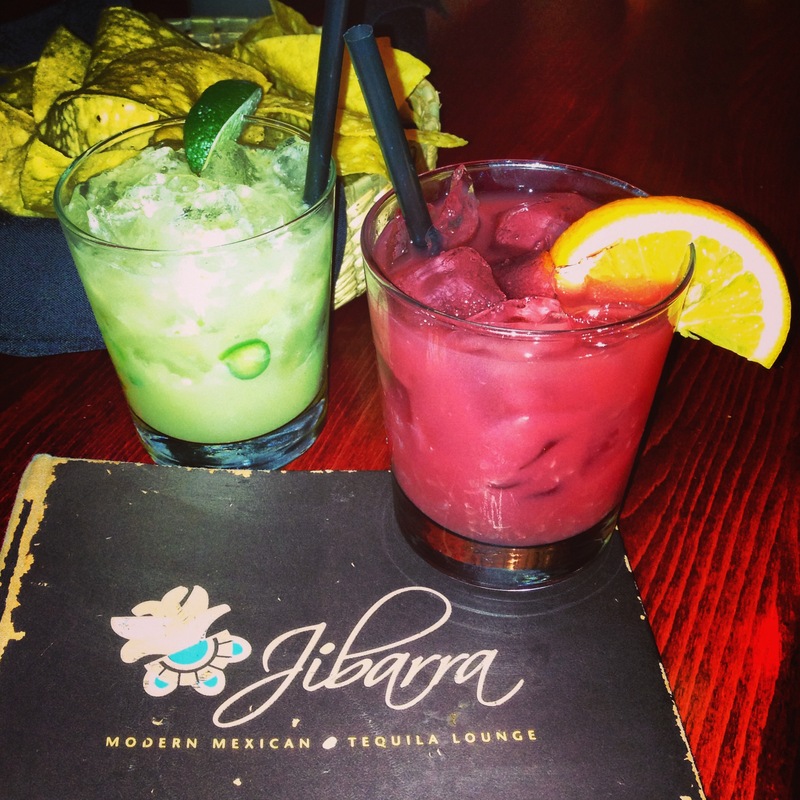 Aimee and I ordered a few margaritas made with the best tequila and freshest ingredients. I selected the blood orange margarita, which included Degollado Tequila, triple sec, blood orange puree and fresh citrus. Although alcoholic beverages are not included on the tour, I highly recommend this margarita. Honestly, you have to quench your thirst after walking for your food! I was impressed by Executive Chef Oscar Diaz of Jibarra. He introduced each of his dishes to the Dishcrawl group and gave the audience an opportunity to ask him questions about the restaurant. The first dish we sampled was called coctel de camaron, which is a shrimp cocktail with cucumbers, tomato, cilantro and avocado with a dash of spices. We also tried the huitlacoche empanada, crispy puff pastry with a Mexican corn-truffle filling served over a sweet corn pureé. My favorite dish was the bulgogi tostada, which successfully fused Asian and Mexican cuisines. The tostada included thin-sliced ribeye, ginger, onions and bulgogi sauce with garnishes and sriracha on a fried wonton tostada. Our last stop on the tour was Brewmasters Bar & Grill for "dessert." The owner provided four different four beers, which were each paired with two different foods. One of my favorite pairings was the Mother Earth Dark Cloud Dunkel with raw almonds. I also enjoyed the Stoudts Fat Dog Imperial Oatmeal Stout with brownies and raspberries. Dishcrawl is journeying to the center of downtown Raleigh on May 1 at 7pm. 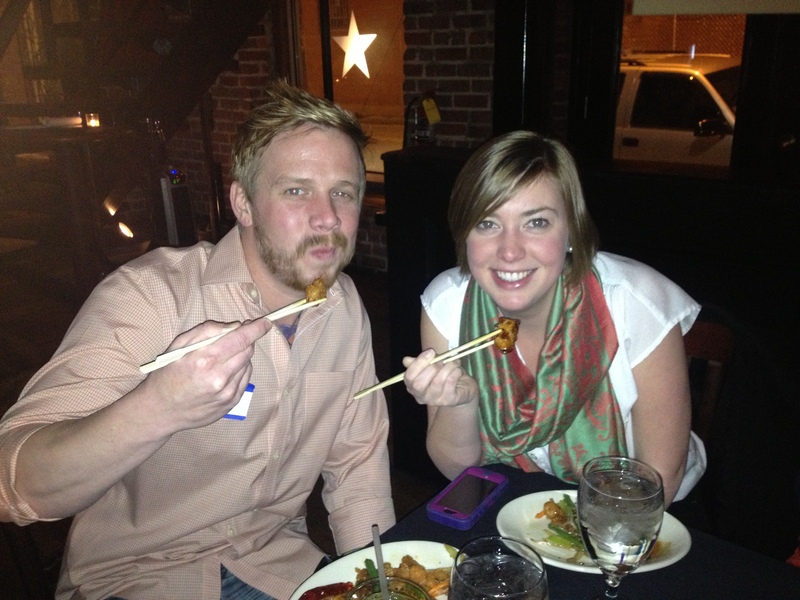 Purchase your tickets for the next Dishcrawl event and join in on the food adventure. 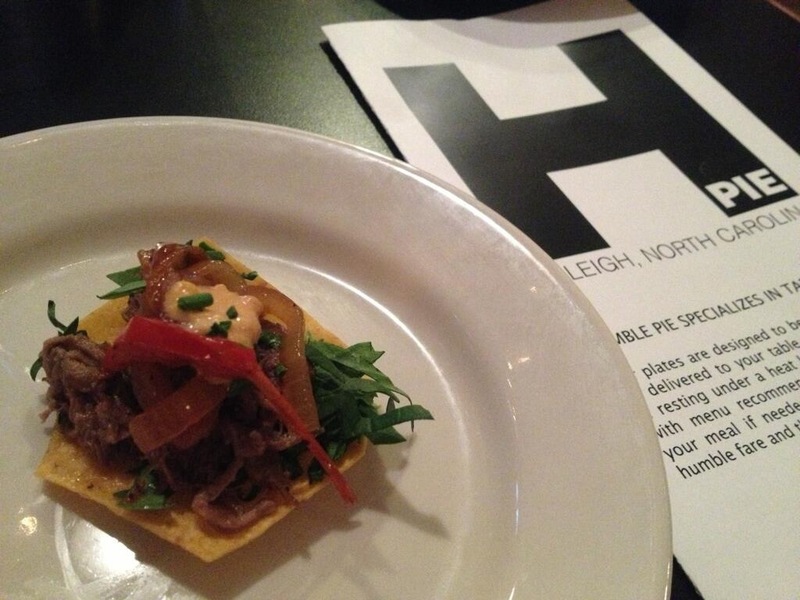 Dishcrawl is a great event for visitors to get a taste of Raleigh&apos;s finest restaurants. I guarantee you&apos;ll have a fun, food-filled evening!